Whoa, Nelly! 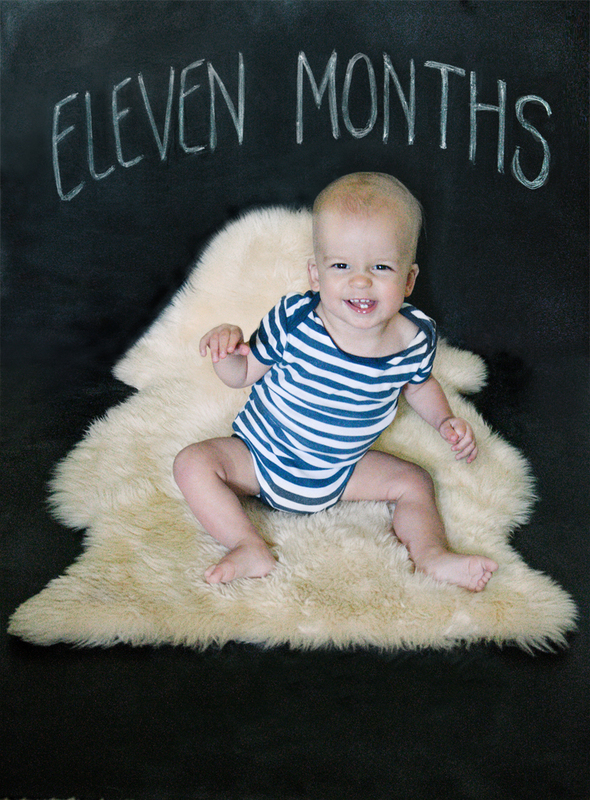 Eleven months turns out to be a really sentimental time, at least for mamas. I started freaking out a bit when I realized I had an almost one year old. How could that have happened already? It took me awhile to get used to the fact that I would soon have a toddler and no longer a baby, and I'm still getting used to that, to be honest. But, as the cliche goes, it just keeps getting better. I hate to buy into such a cliche, but I can't help the truth. What they say is true because his little personality has just exploded. The face he's making in the photo above? That's his mischievous face. He smiles while scrunching up his face, gives a little laugh and then takes off, usually to get into something he shouldn't be in like my camera, mulch, the bathroom or my potted plants. Stinker. It's so fun to be able to play and interact with him. To see my husband throw him and tickle him and tease him makes my heart swell. I swear, he saves the biggest grins and belly laughs for Michael. In addition, he's got all kinds of teeth, has been cruising away, sometimes waves and says mama and dada and sometimes ball. At least, we think that's what he's saying. It sounds more baaaallaaallaaa. Close enough. This was the month that ended a mother's dreams. Photographically, at least. 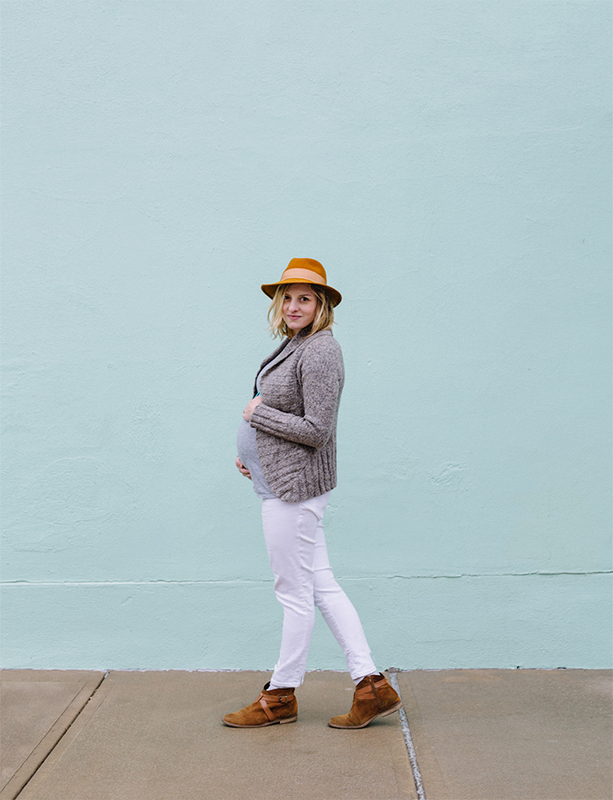 Before having a baby, I knew I wanted to capture monthly photos. I remember thinking, "Why does everyone photograph babies in a chair? It's so much easier to see their growth when they're laying down." Turns out, those other mothers knew better. The laying down thing worked great the first few months, but every month it's gotten more and more difficult. He's been sitting up for months now, but this month he decided he was absolutely through with laying down. There were many tears until we changed our photographic arrangement to sitting up. Although, he was not still for long in that position either, as evidenced by the blurry nature of this photograph. As for ten months, let's talk about this tongue. It's always out, especially when he's concentrating. He's a mini Michael Jordan. Also, the toe curled up? Yes, please. His toes are constantly curled like that. I love finding out the little quirks that make each baby unique. It's amazing how much trouble someone so tiny can get himself into. 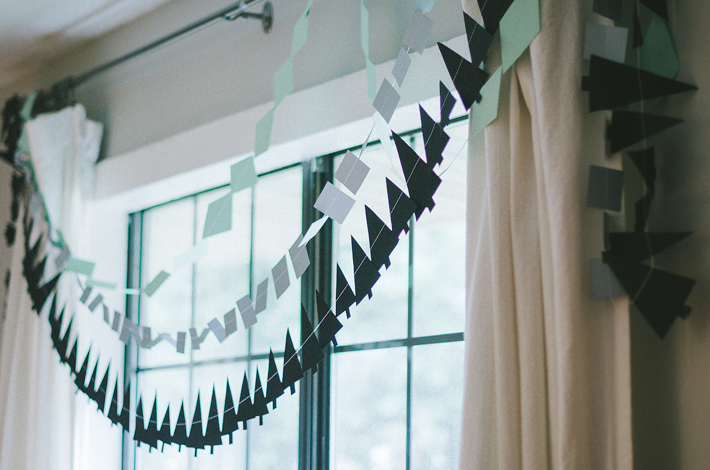 As he became much more mobile this month, we found ourselves scrambling to babyproof. We also walked in to find him pulling up on his crib, which meant we had to drop the crib to the lower level. I found myself sad and sentimental about this event. It's just a crib, right? Still, I was sad that he was growing so quickly and was no longer a tightly swaddled little baby sleeping (umm…somewhat) peacefully and is instead now a wriggling, always moving, mischievous little boy. Sometimes, I wish I could slow down time. I'm sure every mom thinks that at one point or another. However, seeing his personality come through with smiles and giggles and attitude makes up for it. Oh, and the bottom two teeth. Those are pretty great too. Also, if you're just tuning in, I'm playing catch up on my monthly posts. I know I just posted about seven months, but he hasn't grown quite THAT quickly. Finally, I caught a smile. Blurry, but it finally captured. This was also the month he full on giggled. Baby laughs might be one of the best things to be had in this world. This is another little catch up post of Alder and his monthly photos. I love to see how he changes each month. I'm finally able to capture him looking at the camera, but it's still almost impossible to catch him holding still. All of his limbs turn out blurry because he's so busy moving and kicking. What a guy. I've decided to do a little round up of all the photos each month so you can follow along, inspired by Nicole of Making it Lovely. 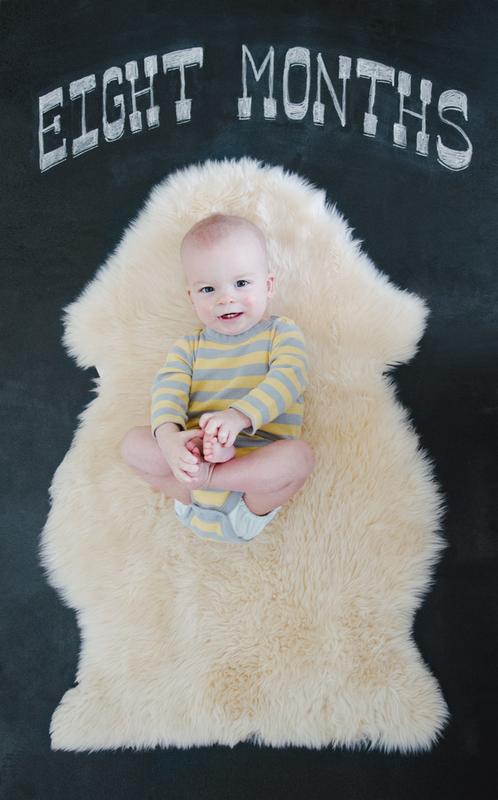 See Alder's Month 1 and Month 2 photos.